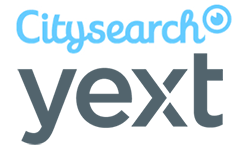 Citysearch has partnered with Yext to power the listings displayed over at the Citysearch local search directory. 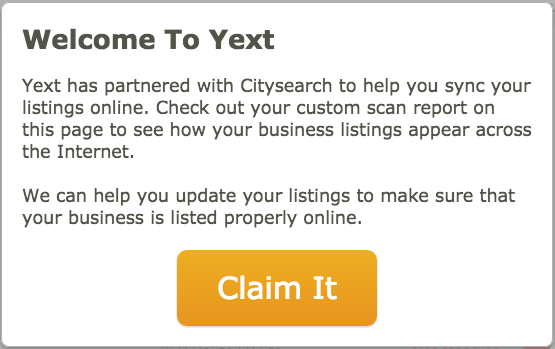 Now when you try to claim a listing on Citysearch, it takes you to Yext with a message that reads "welcome to Yext." Yext has partnered with Citysearch to help you sync your listings online. 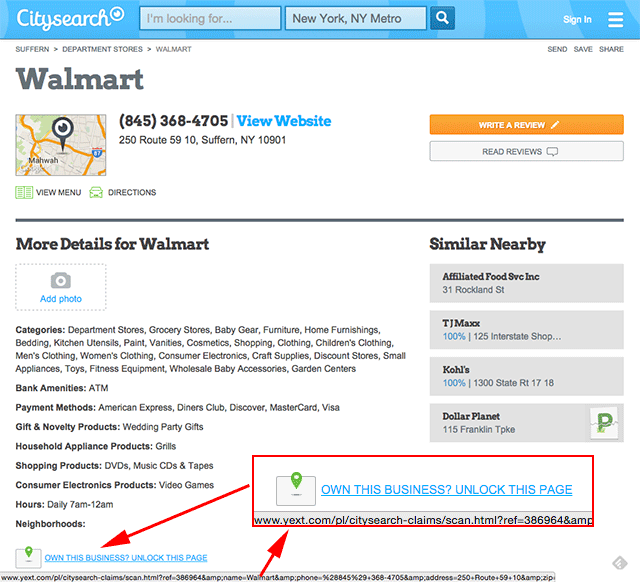 Check out your custom scan report on this page to see how your business listings appear across the Internet. We can help you update your listings to make sure that your business is listed properly online. It seems like local SEOs are simply not happy about this. It seems like Yext is more expensive and can impact small business budgets. Forum discussion at Local Search Help.